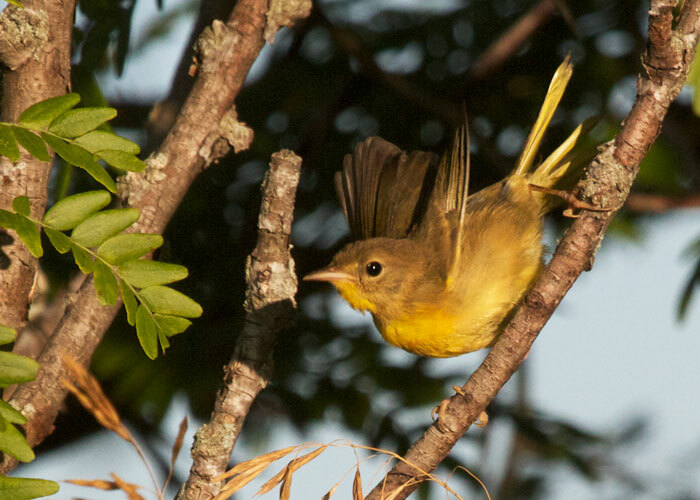 A female common yellowthroat (our most abundant warbler of summer) came out of the foliage and gave me a brief look. She's really yellow all under! She is small, just a third of an ounce. When she raises her wings to fly, you can see how tiny and short her wings are. How can these little wings take her all the way to Mexico, or even farther south into Central America? Yet some time in the next couple of months she will begin her journey. I hope she comes back to this very spot next year and raises another brood of bright yellow song makers.